By the time you put your signature onto a contract with a self-publishing company, you should be very, very confident you and your book are going to be in good hands. So before you take that final step, Self-Publishing Relief lets you in on the signs that reveal if your publisher treats writers with genuine respect and great customer service. Calls and emails are returned promptly. If a self-publisher’s representatives aren’t courteous and proactive, then it’s probably likely the company is more interested in your money and less interested in providing good customer service. Representatives should be knowledgeable and straightforward, even when you ask tough questions. And they should answer the questions you didn’t know you should ask about pricing, royalties, and more. No sketchy promises. 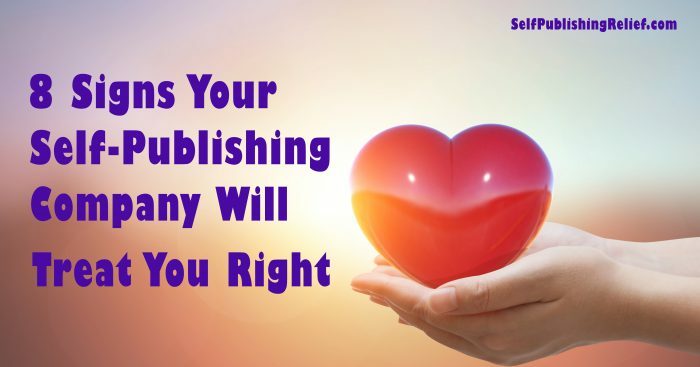 Some self-publishers will promise you anything to get your business—but fail to deliver. A spot in every bookstore in the country? Of course! Record-breaking sales? You got it! Here are some things a less scrupulous self-publisher might hard sell but you don’t really need. Good reviews/recommendations/referrals from clients. A little bit of Internet archeology should unearth lots of positive feedback. Your self-publisher may not have a perfect record (alas, trolls do exist! ), but overall, most clients should appear satisfied. Comments and questions about the contract are welcome. When it comes time to talk serious logistics, your potential self-publisher shouldn’t be cagey about handing over a contract for your review. And representatives should take your concerns seriously. In fact, they should even be willing to help you understand what to watch out for in self-publishing book company contracts. No attempts to monopolize your rights indefinitely. One of the best things about being an indie writer is having complete control over your publications. Be sure to hang on to your rights. If your self-publishing company makes a claim on your book royalties, be sure you fully understand all the ramifications of your agreement. Good book cover designs. 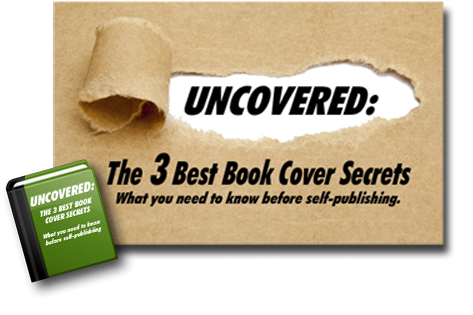 Self-publishing companies should be proud of their cover design artwork—not hiding it. You should be able to see cover art samples! But bear in mind that a cover art designer is beholden to the client—so choices reflect client preferences, not the publisher’s. Personalized attention. Some self-publishers are book factories. They squeeze their authors into a cookie-cutter mold. Talking with representatives and asking questions should give you a sense of how flexible and responsive your potential self-publisher will be when it comes to your unique needs. Availability of a sample print book produced by your potential self-publisher. Sometimes, photos of print books look better than the actual print books. By ordering a print sample—even one that you might have to pay for—you can get a better sense of your publisher’s print quality. That said, keep in mind that some printing packages may vary (from basic to fancy). What About Marketing And Promotional Packages From Self-Publishers? Many self-publishing companies offer promotional assistance for their self-published writers. Authors do stand to benefit from investment in a book launch—with help on press releases and social media! But always be sure your publisher isn’t promising things beyond anyone’s control (like making best-seller lists, guaranteed followers, etc.). Question: What is the #1 most important element of good customer service to you?